The essential vibrancy of Southeast Asia is in the sensational colors of the landscapes and the gilded smiles of the locals. The natural scenery glimmers like a photograph making you wonder if it could possibly be real, while temples stretch and tower over open jungle, and freestanding limestone precipices rise from the crystal sea. On this custom tailored tour through Vietnam, Cambodia, and Thailand, you will witness the quintessential world of Southeast Asia where nature, architecture, food, and life create splendor. 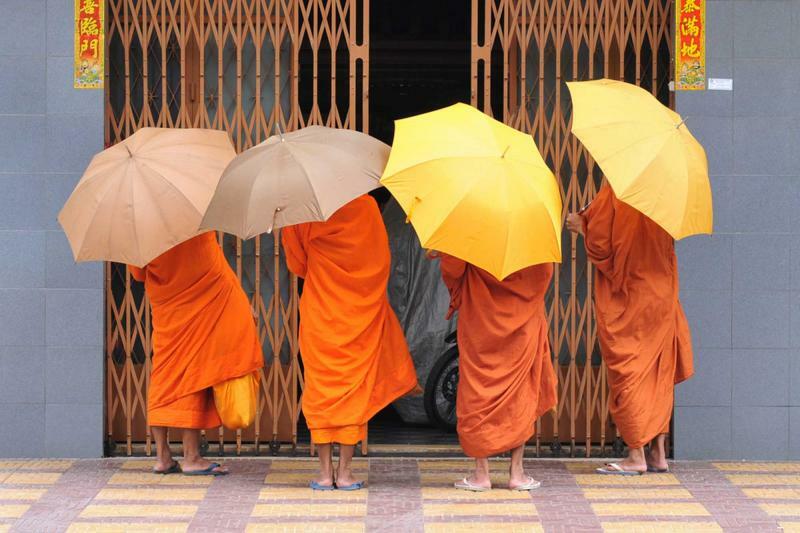 Witness the essentials of Southeast Asia on this 17-day tour through Vietnam, Cambodia, and Thailand. This section of the world has been considered mystical, a distant land filled with unparalleled sights, from the landscapes to the people, the food to the temples; a place where life is so different you would never be able to imagine the diversity; however, now there is no need to imagine. Journey into the hills and rivers of Vietnam, into the famed jungles and open cities of Cambodia, and within the shining lights of Bangkok, Thailand to experience sensational Southeast Asia. 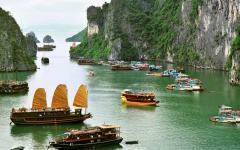 Your Vietnam vacation begins with your arrival in Hanoi, the capital of Vietnam. The historic charm blends into the rising modernity of the city where a dedication to the country’s first president blends and mixes with French colonial architecture and remains of empires. 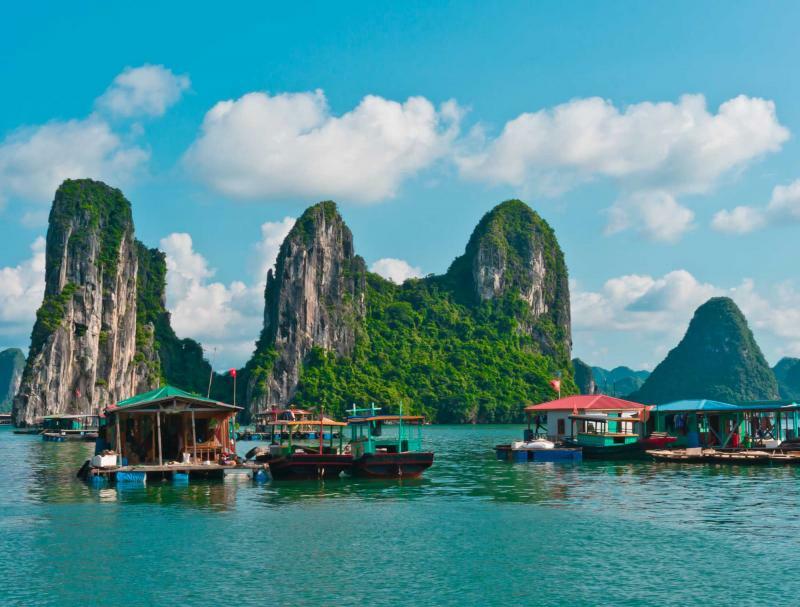 Venture to Halong Bay where the landscape is breathtaking, the myths are inspiring, and the rise of karsts adds to an impressive limestone color over the sea. Cruise through the waters before transferring to the old imperial capital of Hue, where the grandeur of the old kingdom continues to glimmer as a pearl in the country’s eyes. In the city of Hoi An you will traverse the streets located along the river where the charm of a diverse merchant city sits beneath the expanse of shining lanterns. Continue your exploration of Vietnam visiting the modern history of Ho Chi Minh City, where the name Saigon is very much alive, while the history of the city and the rift in the country is memorialized in museums and the labyrinthine Vietcong tunnels that maze through the landscape outside. 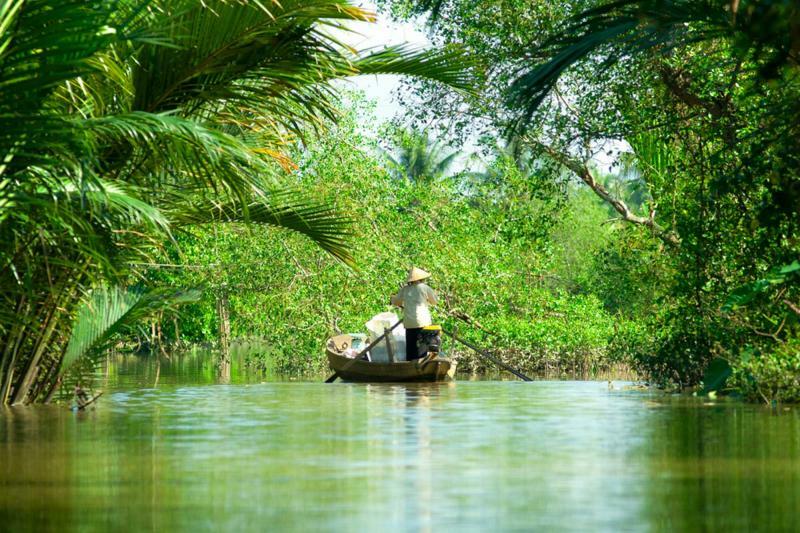 Float along the famous Mekong Delta where the countryside of Vietnam truly comes to life, the patty-fields and temples, farmers and lushness burst forth as if once hidden. 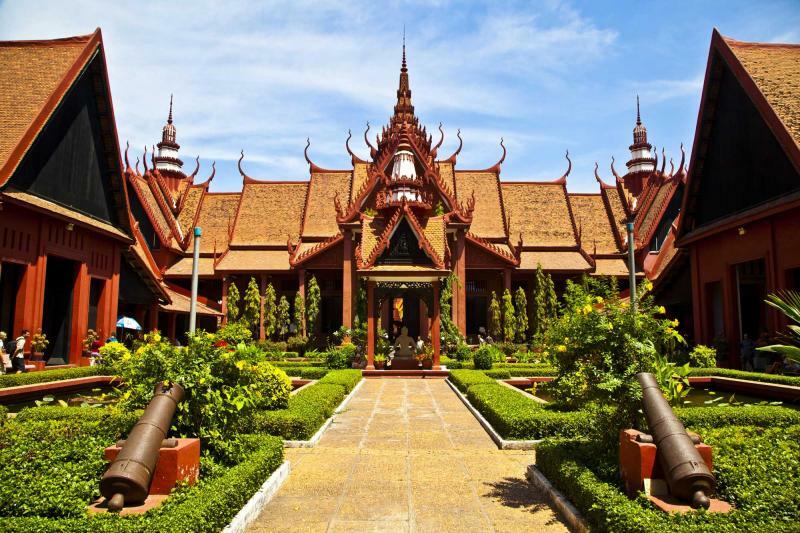 You will transfer to Cambodia’s capital of Phnom Penh where the grandeur of the modern city has blossomed from a colonial past and tempestuous modern history. Traversing the city is a mixture of present luxury and contemporary pains, such as S-21, where the locals learn from their past in order to not repeat it, giving themselves the promise of a hopeful future. 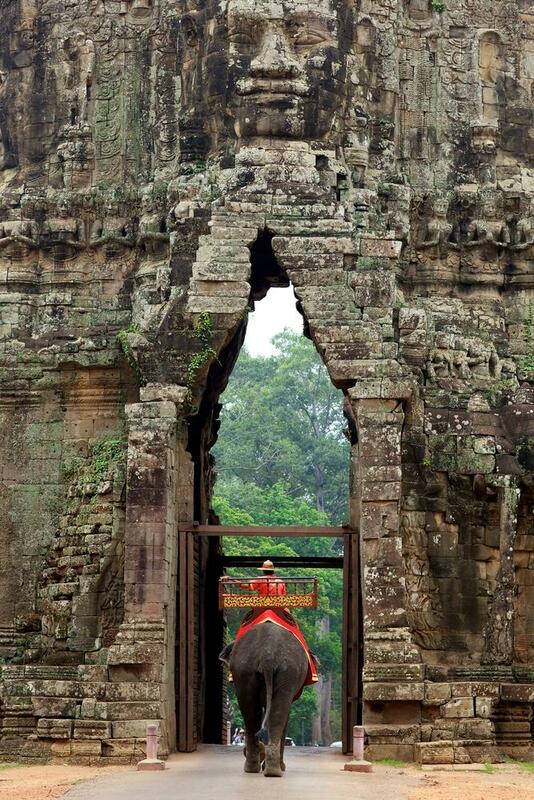 In the jungles outside of Siem Reap are the famed and remarkable ruins of Angkor Wat. 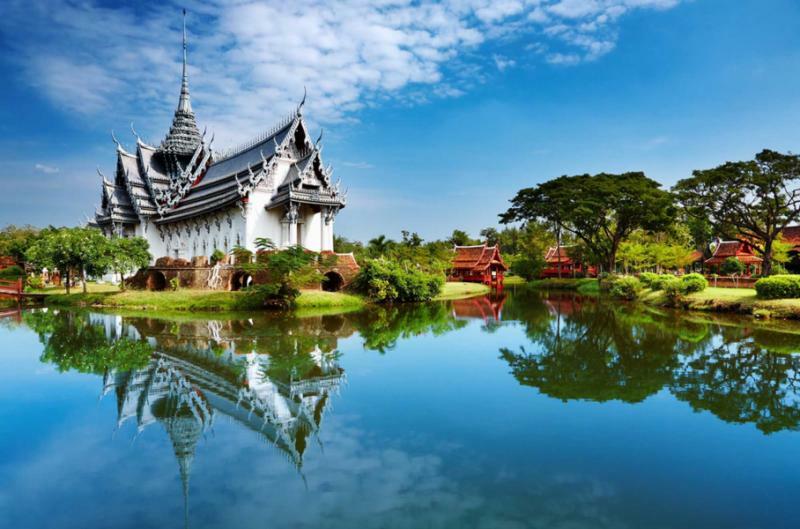 Enjoy the days where you can discover the forgotten city, layered in stones and overrun with foliage offering a large contrast to the eccentricities of Bangkok. 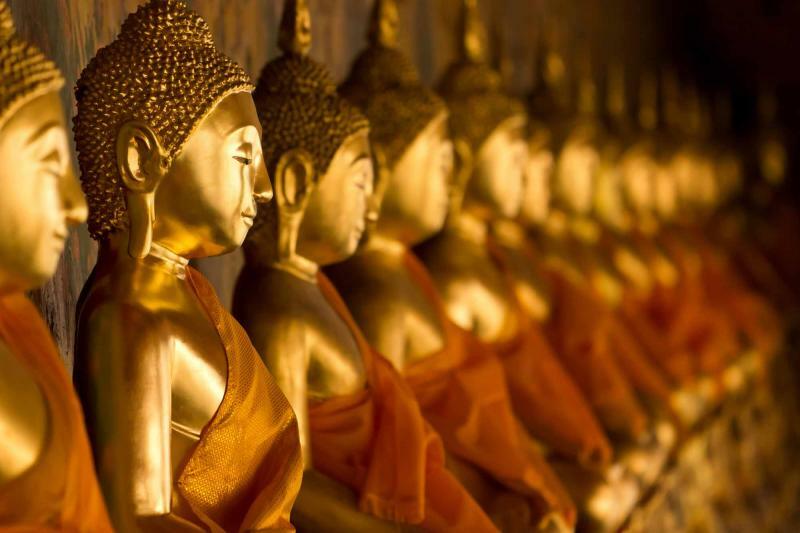 The sometimes overwhelming modernity of Bangkok hides the lovely niches of the city’s past, where amongst the bustle of the streets, you can stroll beneath the banyan trees, listening to the quiet wave of leaves, and see the golden temple spires close-up. 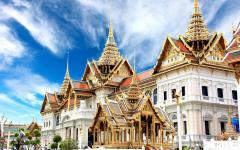 You will depart from Thailand and venture home knowing full well that the essentials of Southeast Asia have been experienced and thoroughly relished. Zicasso offers a variety of customized trips. 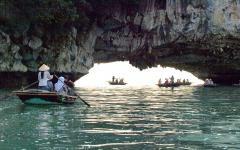 Browse the Vietnam travel agent section for additional information and to read traveler reviews. You arrive in the capital of Vietnam, Hanoi, where the contemporary world of skyscrapers and metropolitan expanse wraps around the antique beauty of the old city and the slower pace of life. You can see the empowered structure of Hanoi Landmark 72 Tower, the second tallest building in Southeast Asia, rising over the city. The gentle waters of the Hoan Kiem Lake are serenely set within the lush green of the a park giving the bustle of the city a genuine and lovely reprieve. 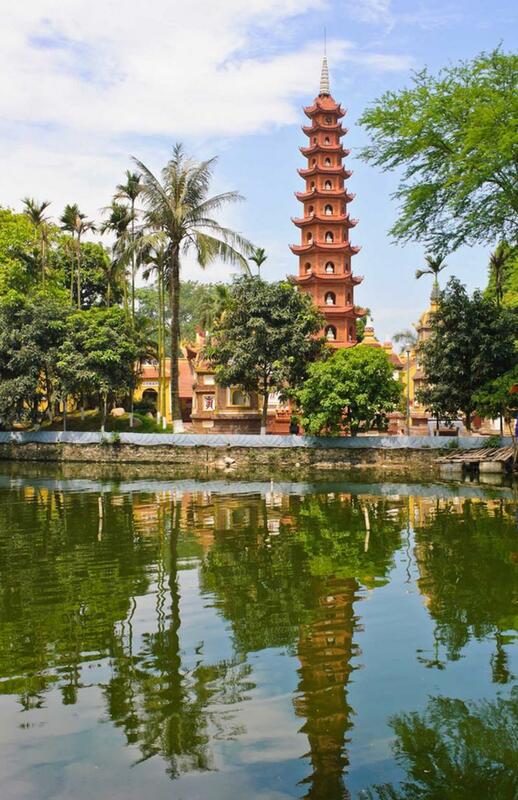 The aroma of immaculate water and delicate greenery surrounds the lake where Ngoc Son Temple sits alone on an island within the calmness of the pond, in a city where the new and the traditional combine. 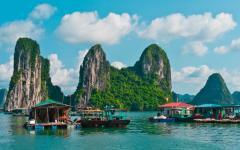 The spire of Vietnam’s tallest building fades beneath the horizon as you make your way north to Halong Bay. Once along the shores of the bay you will climb aboard a traditional boat with textured sails that look like fans. It isn’t hard to look out over the water and immediately be both imitated and impressed. The color of the bay is a vast shade of sapphire and turquoise, glistening in the sun. The only thing more fabulous than the water is the Fenglin and Fengcong, isolated rock towers and clusters of conical peaks. The white limestone gleams from beneath the blankets of foliage. As you cruise through the opulent waters of the bay it’s as if you sailed into prehistoric times, with the unparalleled rocks climbing out of the water and into the sky, varying in height and girth, but none more majestic than the other, each acting like a protectorate of its homeland. Legend says that the rocks were formed by a dragon’s descent into the sea; the longer you float along the serene bay the more you think about joining the dragon and staying a while. Your cruise along the water continues in the morning as the sun rises over the bay and reflects on the stunning ocean. The cool morning air brushes through your hair. You can see the Island of Man’s Head in the distance, as the rock formation has been shaped by time and the elements to create a face in its frame. It is hard to overcome the sheer size and extent of the karsts that you have explored, like glaciers made of stone. Caves are carved deep and wide into the earth’s crust by the bay, where stalactites dangle like melted rock and stalagmites reach up to the ceiling like pillars. The earth is damp and cool, where the gentle swell of the sea has disappeared, replaced by a light echo and the shimmer of light off of the coarse cave walls. 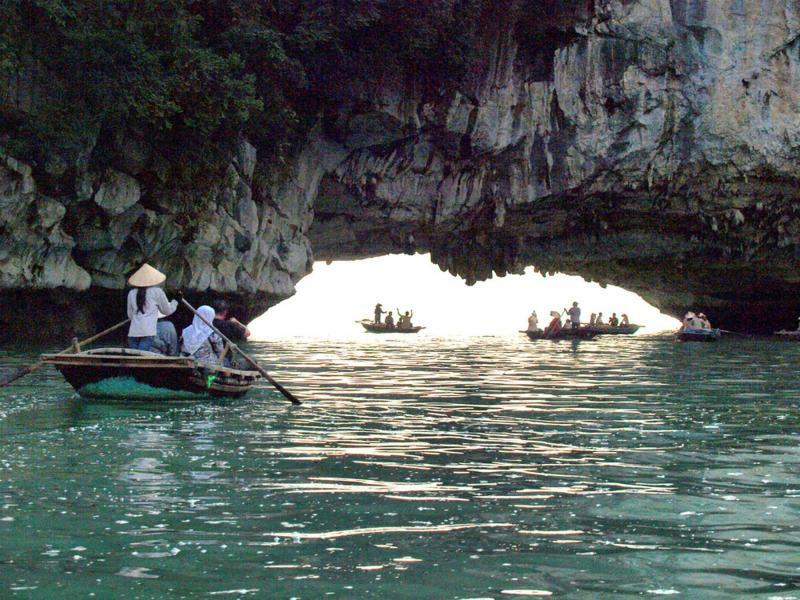 Soon you will return to shore and venture back to Hanoi for the evening, but within the caves, and along the shores, of Halong Bay you could spend a lifetime. 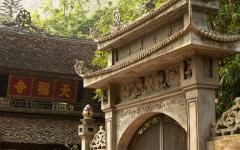 The city of Hue will enamor you with its sensational history and persistent splendor. The palace is a large complex made up of three sections of ramparts. The capital citadel on the exterior was built in the early 17th century and continues to maintain almost 150 structures. The massive square is over six-miles in circumference, 12 feet high, and over 60 meters thick. The city itself is filled with, and surrounded by, remarkable beauty. At the entrance to the tomb of Emperor Khai Dinh the powerful stones that continue to decorate the exterior will surround you. Statues of men, each carved with distinct individual characteristics, are lined before the staircase guarding their ruler. The staircase is divided into three sectors adorned by an intricate stone gate, where atop the citadel sits his lavish home. There is the subtle scent of incense when you enter his tomb, where the gilded designs that embellish the emperor’s resting place shine in the never-ending light. Journey to Hoi An and the imagined Vietnam of your dreams comes into view, where the delicate colors of floating lanterns glide across the streets and dangle in the marketplace, lively boats drift on the river, and the floral perfume of palm trees rushes through the streets. Stand along the Japanese Covered Bridge, one of the city’s most famous landmarks constructed in the late 16th century. One side of the bridge is guarded by antiquated statues of monkeys, while the other is adorned with a pair of dogs. The shingled roof is angled outward, allowing the rain to run into the river below. The sharp stone color glows with vivaciousness in the evening, reflecting its light and body in the still river. The sounds of the city never reach more than a contented whisper unless the markets are in full swing, where you can hear the excitement and feel the pulse of color in everyone’s voice, raised together in a collective jubilance. There is sense of honesty about Hoi An, where the traditional isn’t at odds with the modern, instead it’s as if the modern has evolved out of the city’s deep connection to their traditions. The locals continue to walk in the morning with their baskets dangling from long sticks, situated over their shoulders, where local temporal fruits, such as creamy bananas, fill their cache. The colors of the morning are different than the hues of the night, where the light of day casts a glow over the yellows and greens of the buildings and the reflective waters of the river. Step through the fluctuation of narrow and wide cobblestone streets to find the Tan Ky House which has been preserved through two centuries by seven generations. The house is an example of an 18th century merchant’s residence, where the horizontal wooden beams that create the façade can be removed easily to transform the house into a storefront. Much of the house is similar to Chinese architecture which avoids nails, using wooden pegs instead. Marble bases hold together the house’s wooden beams. The ceiling curves upward, topped with ceramic tile that keeps the interior warm in the winter and cool in the summer. You can see two vertical beams near the central courtyard where a set of Chinese characters is veneered into the wood. Each stroke of characters has created an illustration of a bird, giving a gilded elegance to the brushstroke, the beam, and adding to the beauty of the home. The morning light washes over the river and gives another quiet elegance to the day. Within the Old Town there will always be more of the majestic city of Hoi An to see. 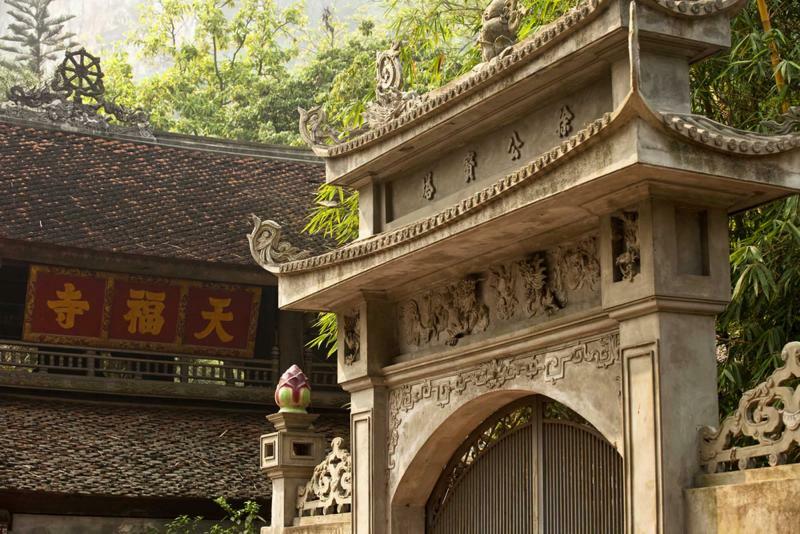 On the steps of the Quan Cong Temple you see the captivating vibrancy of color and the immaculate sheen of the exterior. The glossy red and black pillars rise over the polished, intricate tiles that sit below the altar. The fragrant incense mixes with the lushness of the garden, adding a spice to the temple’s air. Built in the mid 17th century, the structure is divided into rows of housing whose roofs are covered with tubular tiles that are a green, glassy color. Look up and see that the edges are adorned with complex patterns of dragons and unicorns. 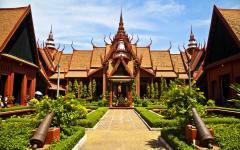 The temple is composed of three parts: the front hall, an open yard, and the sanctuary. On the entrance door to the temple is a blue and white dragon raised in its relief into the beam, their bodies wonderfully intertwined forever. When the life of the city begins to trickle onto the streets in the morning light, you will venture to the once capital of South Vietnam, now known as Ho Chi Minh City. The moment you step into Ho Chi Minh City you can feel its weight; it is the largest city in Vietnam. Once an important Khmer seaport town, the metropolis hosts some of the most important history, modern and antiquated, where the evolution of the country can be seen and not just discussed. 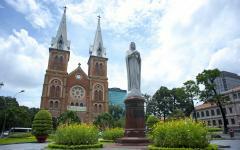 A finer gem of the city is the Saigon Notre-Dame Cathedral, built by French colonists in the latter half of the 19th century. The rosy stones and large spires, complete with the rose window, make it feel as though you have stepped outside of Southeast Asia and onto the neo-Romanesque streets of France. The bricks were imported from Marseilles and the window was made in the Chartres Province of France. When the bells sound it brings a familiar peel to the city, where the crowds listen and bustle along the streets. There is a collective fragrance to the air, from the myrrh of the cathedral to the incense of the Thien Hau Pagoda, dedicated to the sea goddess Thien Hau. 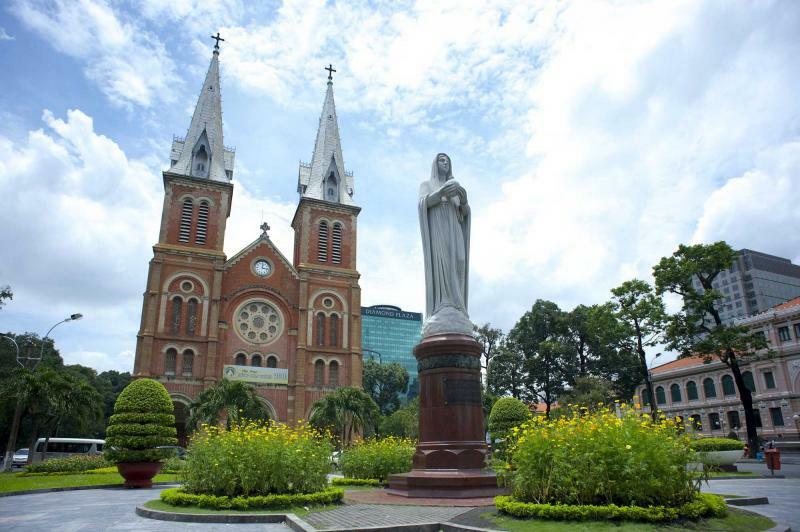 Ho Chi Minh City is not just a metropolis but also an added reflection of Vietnam’s progression. 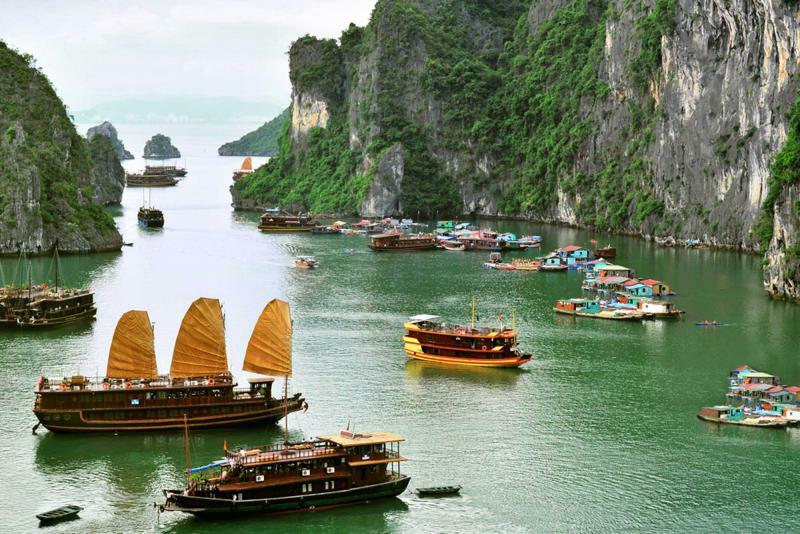 The wonders of Vietnam sit within its present and its history, from colonial cathedrals to historic pagodas; however, some of what is most captivating about Vietnam can also be the hardest to see. The Cu Chi Tunnels of Ho Chi Minh City have been a draw for visitors for many years, with foreigners and locals alike, parts of the historical relations between peoples and countries can seem raw; however, the intricacies of the tunnel system are as amazing as they are terrifying. Hidden within the covered brush just outside the city, one of the entrances sits near the main road and the Saigon River. Over 175miles of tunnels once stretched throughout the country, layered like an ant colony beneath the mountains and villages of Vietnam. The 75 mile-long complex of Cu Chi Tunnels has been preserved as a war memorial park. If you have the inclination you can try and venture through the maze, following your guide through the expanse of earth, where the air is cool, the light is dim, and the adventure is unparalleled. 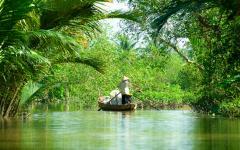 The water calls to you as you venture out for a cruise along the Mekong Delta. As you are swept along the winding paths of the delta the breeze is sweet and cool from the fresh water. The villages are sporadic and quintessential, with stilts giving rise to the homes and the buildings outside of larger cities. You can see the paddy fields rising up the lush mountainside, the terraces filled with sprouting rice plants and graceful grass that sways in the breeze. It looks like a painting of a countryside rather than real life, you want to reach out and touch it to make sure it’s real. Coconut palms linger over a long stretch of the waterway, where the gentle scent of the fruit can be as enticing as the breeze that carries it. You look out and see the idiosyncratic image of conical-hatted farmers tending their land. 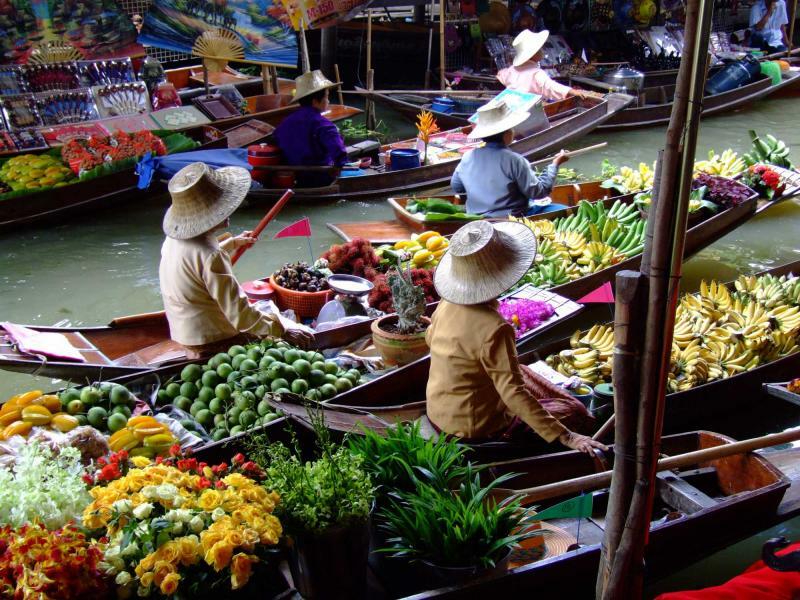 The river begins to brim with boats; each vessel is filled with produce, from vibrant lemons to rugged dragon fruit, sacks of onions to heavy melons. 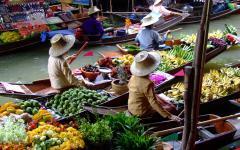 The river bursts forth with a bustling floating market where fruits or vegetables are hung from tall wooden poles reaching out to the banks for people wanting to sample the freshness of the vendors’ goods. The fragrance of the ripe produce covers the river. Best enjoyed in the early morning when the vivaciousness of the market is at its peak, you can taste the full flavor of the countryside, within the flavors and textures of the produce and, more importantly, within experiencing the everyday life of Vietnam. After the morning rises over the illustrious stretch of Ho Chi Minh City you will have a private transfer to the airport and arrive in the capital of Cambodia, Phnom Penh. The decadent past of French colonialism continues to shine along the riverbanks of a country that is still healing from its storied history. With the city yours to explore at your leisure there is never an end to the sensational sights to see, whether in its blossoming architecture and cultural beauty or its presentation of the country’s past in order to ensure a grand future. The Central Market is situated within a lovely yellow art deco building created in 1937 and recently restored. Within the building’s four wings is a central dome at its core where hundreds of stalls decorate the aisles. The scent of fresh noodles and grilled meats drift through the aisles, differing from the aroma of fresh baked baguettes that blend into the streets of the city center. The market becomes filled with friendly vivacity, people browsing and buying, trying to get the best price for books, watches, clothing, and more. The market brings zest and spice to the city where you look into the faces of the locals and see their tenacious spirit. Phnom Penh is a rich city, filled with treasures that line the riverbanks and hide beneath the palm trees; however, no trip to Phnom Penh would be complete without witnessing the recent history that pays tribute to the everlasting tenacity of the Cambodian spirit. The Tuol Sleng Genocide Museum, also known as S-21, is a large cement structure with a wrap-around terrace and open garden. The Khmer Rouge, that ruled from 1975-1979, made the S-21 prison from what had been, up to that point, a high school. The classrooms turned prison cells are small and empty, chilly in their barren state. A breeze blows through the palms and gives a quiet wave of leaves against the silence of the museum, an eerie serenity within the stories of Cambodia’s history. Mug shots of those that were housed in the prison line a spot on the wall, their monochrome faces stare out from their photos. It is a stoic scene, a part of a past that some people would rather forget but consciously choose not to; when you once again step out into the vibrancy of the city you can feel that upbeat smiles of the locals, the burst of life that continues to pulse through the country; the ineffable strength of people. 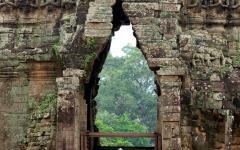 Today you will venture away from the French influence and urban design of Phnom Penh and onto Siem Reap, known to be the gatekeeper of the ancient wonders of Angkor Wat. Step into the grand history of the ancient temple complex by first visiting the impressive stone structure of Angkor Thom. The dark stones rise in thick circular formation, some shaping into textured obelisks with faces carved into them. It’s as if you have stepped into a movie, filled with opulent history and large, imposing stone staring back at you. The afternoon air is warm and rich. The lush trees offer shade against the hot stone. Myths and antiquity are carved into the parapets telling commemorated stories that literally rise from the walls. There is a sense of awe that overcomes everyone that walks along the pathways of Angkor Wat for good reason, a reason you have come to experience. Rise in the predawn darkness; the glow of Siem Reap is cast by the streetlights as you make your way to the main complex of Angkor Wat. The famed temple is impressive even in the darkness where people have set themselves up hundreds of yards away from the temple steps to watch the sun rise over the stone. Three front spires tower over the main structure, each stone thick, tall, and textured, looking more like a boulder than a tower. The palm trees in the foreground seem playful and out of place against the grandeur of the famed site while the pond is laden with blossoming lilies. When the sunrise begins you can see the early orange shine spread over the horizon. The temple starts to twinkle in the early light, giving a particular color, an imitation of deep orange and gold from the dawn. People stare in wonder, but no matter how many stand around the complex waiting for the world to brighten, it feels like the sun rose over Angkor Wat just for you, giving you the day to experience the area’s majesty. The temples’ luster and allure only grows stronger with time, giving you another day to explore the famed structures within the jungle growth. One of the only saving graces for Angkor Wat during the reconstruction of the 1970’s was the fact that it had been forgotten by time, the growth of the trees smothering and covering the magnificence. The forgotten past of Angkor Wat is now more visible than ever at Ta Prohm, where the leaves of the forest are not the only things growing over the stones. 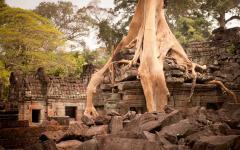 Tree roots dangle over the sloping roof of where the temple is not sitting in decrepitude but framed majesty. The tree has overtaken a part of the temple while moss continues to give the stone a remarkable green hue, wrapping the beauty of nature around and over the structure, and bringing it back to the earth. Today you will depart from the impressive stone temples of Siem Reap and make your way to the famous capital of Thailand, Bangkok. The city is a behemoth set beside a river. The skyline rises over the sprawl of the city, each racing to see who can stretch the farthest. Within the modern city are the gems of the history and the unparalleled beauty of the mixture between past and present. Close to the hustle of Khao San Road, but feeling miles away, Rambuttri gives you a sense of Bangkok’s past before the city rose into the sky and stretched to the horizons. Banyan trees give a lush shade to the tropical climate; the scent of the trees is effervescent, while the gentle fragrance of fresh made noodles and peanut oil adds to the richness of the air. Behind the soft-spoken buildings you can see the golden tiers of Wat Chana Songkhram, an elegant adornment to the quiet charm of the street. The day begins with the lush fruit and delightful breakfast that you have come to expect, filled with a spread of sweet and savory flavors. After breakfast you will be taken to the airport on a semi-private transfer in time for your flight home. 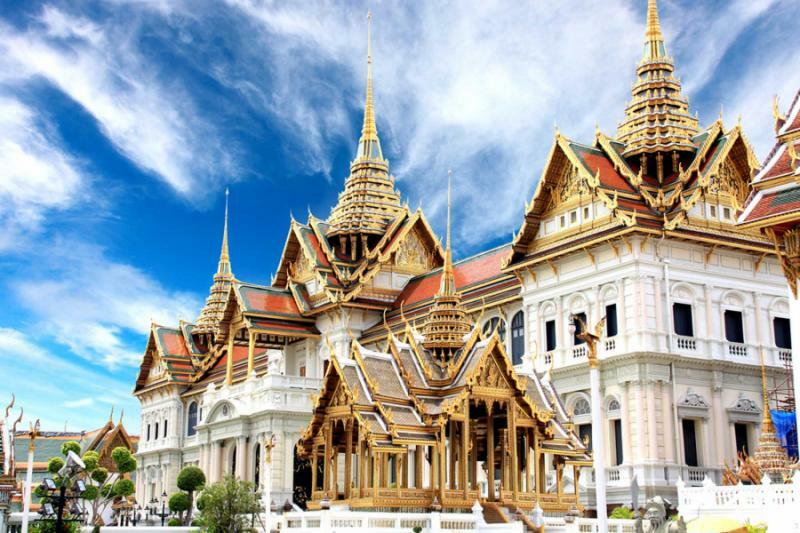 You have experienced the essentials of Southeast Asia, from the vibrant patty-fields of Vietnam to the remarkable temples of Cambodia, and to the sensational streets of Bangkok. Your holiday may have ended but there will always be another adventure to explore.